Unfortunately, at this time, we have to officially advise anyone using any ROM based on this leak to revert to a Froyo build or to CyanogenMod 7 as soon as possible. This includes any and all third-party Gingerbread ROMs for the HTC Thunderbolt not based on CM7. We don't take announcing this lightly, but we do so erring on the side of caution because of the extent to which this problem bricks the phone. There is no fix presently. If your Thunderbolt is caught in an endless boot loop, it is as good as dead at the moment. Our own Justin Case knows of at least ten reported cases of this problem presently - there are no warning signs and seemingly no pattern to its occurrence, and the problem can spring up days after having flashed the radio image in question. It is especially important that you flash back to Froyo or to CyanogenMod 7. Using the leaked Gingerbread software is a violation of your warranty agreement. 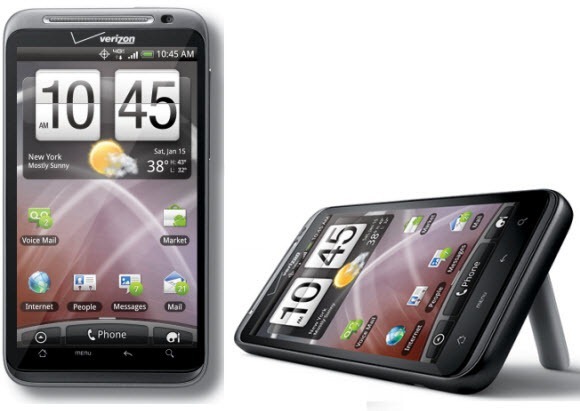 Verizon and HTC may refuse to replace your phone, turning your Thunderbolt into a $250 paperweight. The glitch does not affect CyanogenMod 7 (though it is a Gingerbread ROM) because CM7 uses the Froyo version of the Thunderbolt's radio image. Please check the md5sum before flashing. To flash this file, rename it as PG05IMG.zip (windows users, please make sure it is not named PG05IMG.zip.zip) and place it on the root directory of your sdcard. And allow the update to flash. If your phone displays "FASTBOOT", then select the bootloader option from the menu.